Second-hand material handling, crushing and mining equipment for sale. CSS has second-hand and used crushing and screening equipment for sale in a number of locations in Western Australia including Perth, Kalgoorlie-Boulder, Goldfields, Pilbara, Port Hedland, Kimberley and Esperance and we are also located in Darwin in the Northern Territory (Australia Wide). 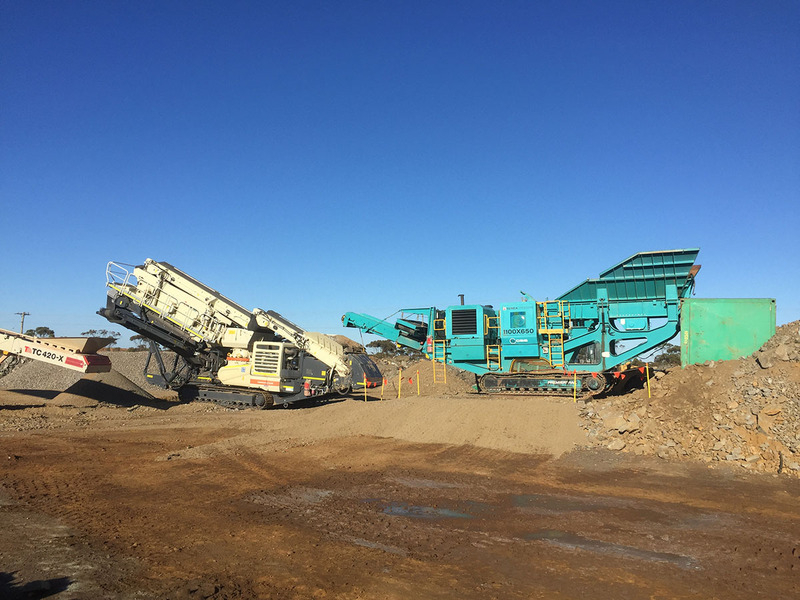 Our used crushing and mining equipment for sale includes a wide range of high-quality crushing and screening and material handling for use in a wide range of projects, ranging from open cut mining, crushing and screening, to quarry work. We have a range of first-class rock crusher equipment available for sale, including cone crushers and jaw crusher machines. We also have a range of screening machines in a variety of models and sizes. For a full and detailed description of the material handling equipment we currently have available for sale, please see the individual product descriptions below. We pride ourselves on the knowledge, experience, and dependability, of our highly skilled and dedicated team of industry professionals. So, if you would like a quote or further information about our used and second-hand equipment, get in touch today and we will be happy to answer your enquiry.